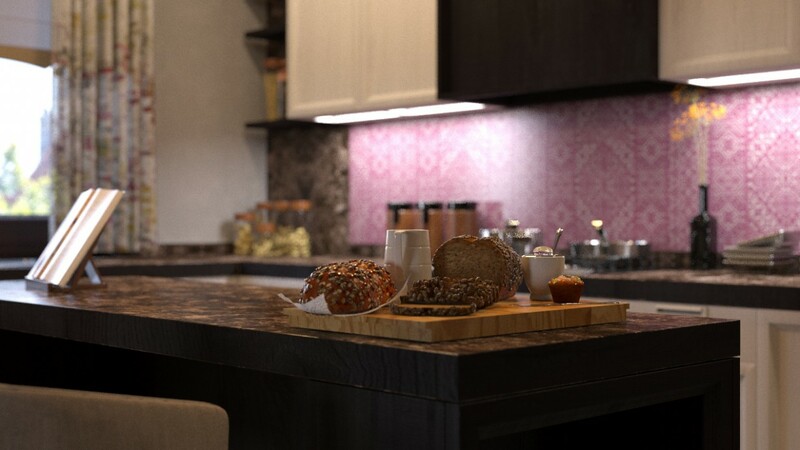 Kitchen viz, a part of residential house. Very good combination of colors, and even this bread on the table ... Class! Дуже гарне поєднання кольорів, а ще цей хлібчик на столі... Клас!